So sorry not to have been blogging for a week or so but I have been in the bush..you can see from the foto’s (1 to 8 ) that we began our programme for mambrookes well.. this well is especially for the womens association.. children here have no breakfast and only one meal a day.. with little or no real nutritional content..so we are hoping this will be the begining of something special..we want them to have a market garden orgramme..they seems to be enthusiastic so lets see how it moves forward..
Foto’s 9,10,11,12 are the XOs donation from OLPC.org. Eric our principal from madiga school is sitting with the XO’s which arrived just a few days ago. He and his colleagues are extremely happy and grateful to have been chosen to spear head this programme. He was chosen because of his seriousness in executing other projects. 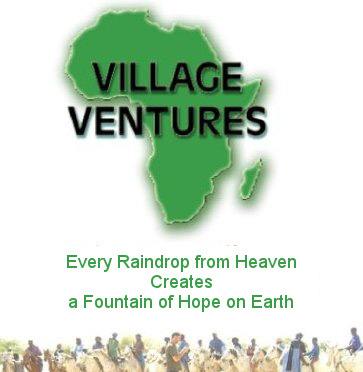 We are very pleased to have him as part of the village ventures team. He has set up a plan for the next 3 months utilizing many of the activities on the XOs to help develop new skills for his students. We will be blogging in French direct from the school so you can keep up with the progress. Foto 13 is Gunta one of our many visitors, he just happened by stayed for the night helped us paint one of our rooms beofre heading of on his tour to bamako and Burkina Faso. Foto’s 14,15,16,17: These are some of the people you could come and meet.. our Fulani people. The rest of the Fotos (18 to 27) are of the donation of Water filtration systems for Individuals..we decided it would be wonderful to give these to our Bergers…shepherds who take care of the animals..so of the young men you see on thse fotos will be heading of to walk all the way to Senegal about 400 kms from here minimum, others will go to Guinea border with the animals to find water and food as the dry season continues and others will just stay in the bush..traveling up to 50 kms all walk daily by foot in the bush..not an easy work and for extremely small reward..